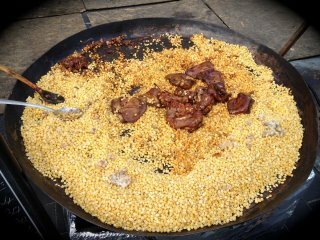 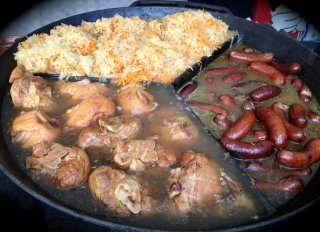 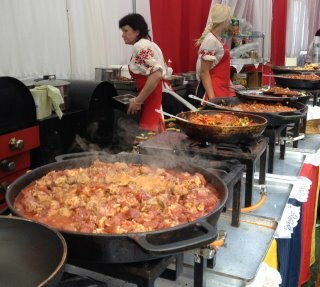 Eastern Europeans love street food because it’s portable and easy to eat without the benefit of table and utensils — perfect for strolling through the large main market squares, arm-in-arm with a friend, or as a quick lunch on the way back to work, or as a special treat to take home to the kids. 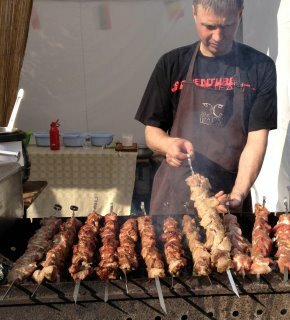 cevapcici, which are hand-formed sausages also known as cevapi or cevaps, on lepinje, a type of flat bread, are common and raznjici (grilled pork or lamb kebabs) also are typical offerings. 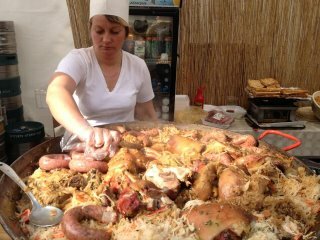 On the Dalmatian coast in Croatia, fried seafood and seafood salads like lignje na salatu (squid salad) are very popular. 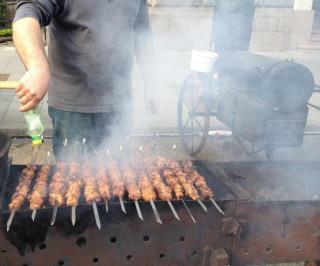 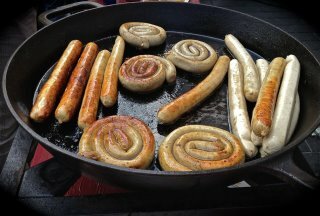 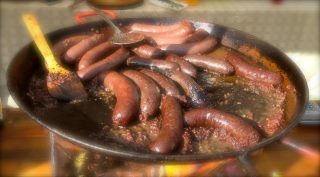 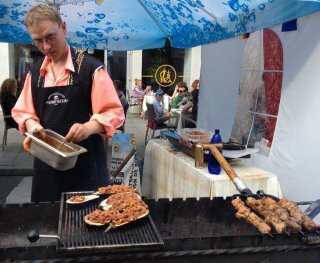 In the Baltics it is Potatoes, sausages and beer and other popular street food includes shashlik (grilled kebabs), roasted suckling pig, obwarzanki or crusty rings of bread similar to bagels in appearance, but not in taste, precle (yeast-raised pretzels), lody (ice cream), and doner the Turkish version of Greek gyro meat but with Polish-influenced toppings like fresh cabbage salad with cucumbers, tomatoes and other vegetables, cheese and sauce on a slighter thicker version of pita bread.